In my household, mason jars are our default vessels. Canning is certainly one of their primary uses, but we also employ them for storing leftovers, corralling LEGO collections, stashing office supplies, arranging flowers, and displaying rocks gathered on vacation. They are truly all-purpose containers. One issue that I’ve run into in the past when using mason jars for all manner of things is that sometimes, you get weird olfactory cross-contamination when it comes to the lids (ask me what happens when you store Q-Tips under a lid that once protected pickles). To keep this weirdness at bay, I’ve got a small assortment of decorative lids from Mason Jar Lifestyle that are not designed for food use. This means I keep them expressly for all the other things that I stash in jars, thus keeping the cotton balls free of relish memories and ready to serve another day. They also can fit over the flat lids on most jars, if you want to use them to dress up jars you’re giving as gifts. If you find yourself in the market for decorative lids, I highly recommend checking out the assortment that Mason Jar Lifestyle sells. 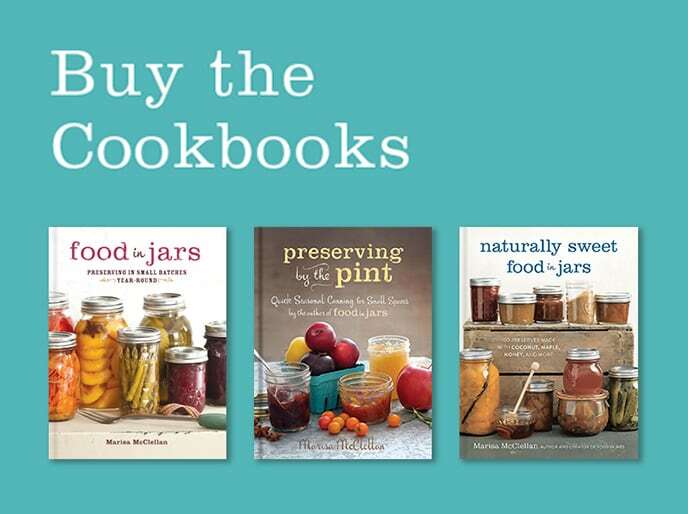 They’ve got everything from lids with vintage styling (galvanized or oil-rubbed), lids with handles (you can tuck a flat canning lid into these if you are desperate to use them in your pantry), flower frogs, and so much more. 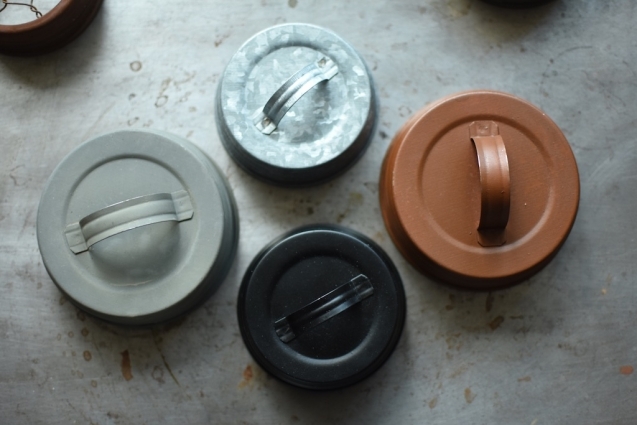 This week, I’m giving away two sets of decorative lids (winners get to choose an assortment of eight lids) here on the blog and another set over on Instagram. Make sure to enter in both places to increase your chances of winning! 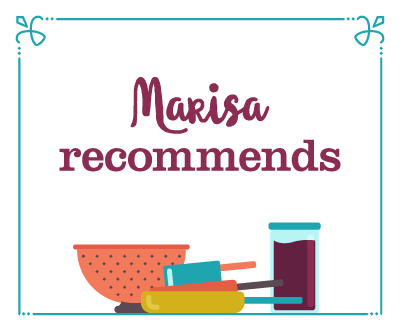 Disclosure: Mason Jar Lifestyle is a Food in Jars partner and this giveaway is a component of our partnership. Their continued sponsorship helps keep this blog afloat. All thoughts and opinions expressed in this blog post are entirely my own. I use mason jars to store buttons and I somehow didn’t know these existed! How cute. They would look nice on the jars on my vanity. Love the lids with the little handle! Oooh, aaah, yes, these are must haves. For everything. But, would especially like them for using with the purple jars, maybe the green ones as well. Somehow those just don’t get used for canning and would be great for other purposes. 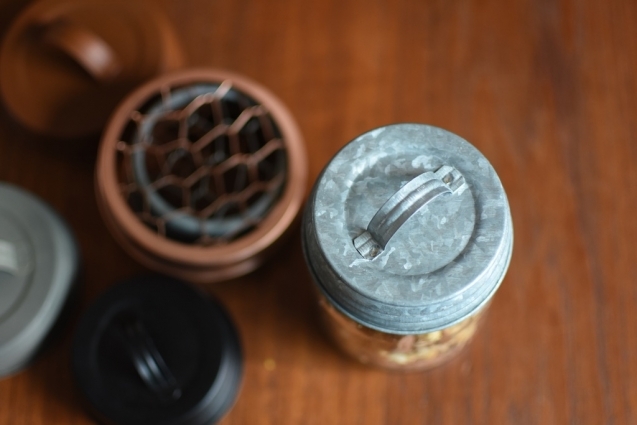 These look so handy – I, too, use my jars for all manner of storage and sometimes the rings and lids are a pain for those applications. This would help towards my goal of getting my odds and ends gathered up and organized, especially in the craft area! The lids are so cute! Can be used for all kind of storage. 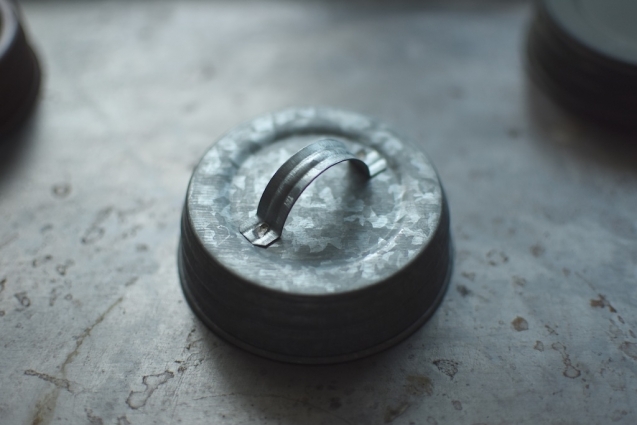 The galvanized lids are lovely. I am re-doing my guest bed and bath and these would be perfect to store some travel amenities – have a lot of family visiting this year! I would store candies in them, to make those more appealing and decorative! I store a lot of stuff in jars. Herbs, spices, dried beans etc… Love the lids…. 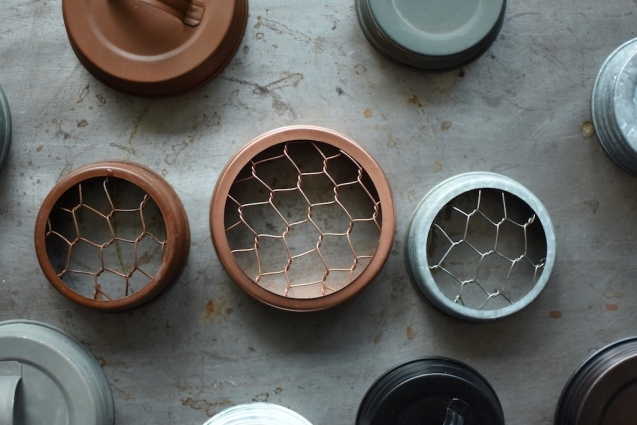 I love the idea of using these decorative lids for something other than food. I keep getting hung up on the 2 part lid, or the dreaded plastic one piece from Ball. I’d love something different. So many potential great uses for these! I would love to use the flower frogs for bouquets! 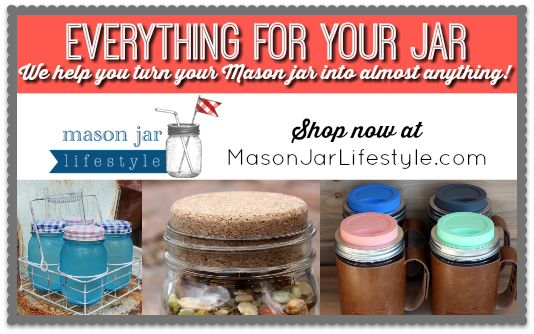 Mason Jar Lifestyle has the best products! The galvanized lids and flower arranger tops would be so useful! 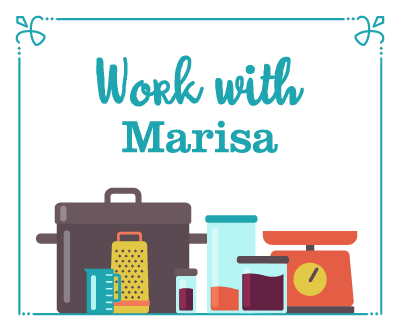 I use mason jars to store dry goods like nuts, seeds, dried fruit, grains, legumes, etc. I’m always looking for a new way to decorate my lids but these would be the best! I would use these decorative lids on some of my vintage jars to store small things like thread, thumb drives, buttons, needles. These are great. The flower frog lids are exactly what I need for summer arrangements. Much like you, I would use them for everything. Sewing items, bathroom – cotton and swabs, marbles and little toys, candy…. And I like those cute flower frog looking ones for fresh cut flower arrangements. I’d love to try the flower frog for casual arrangements! I’d use these for dry storage. Rice, beans etc. I would love these for flower arrangements! I use mason jars all the time. I love these lids! The galvanized lids I’d use for storing odds and ends, like buttons, qtips, etc. The flower frogs for flowers and to make my mason jar a tissue holder! Definitely great for candy and also my herbs after I dry them in the dehydrator. I prefer to store them for a bit not air tight to be sure they are fully dry. 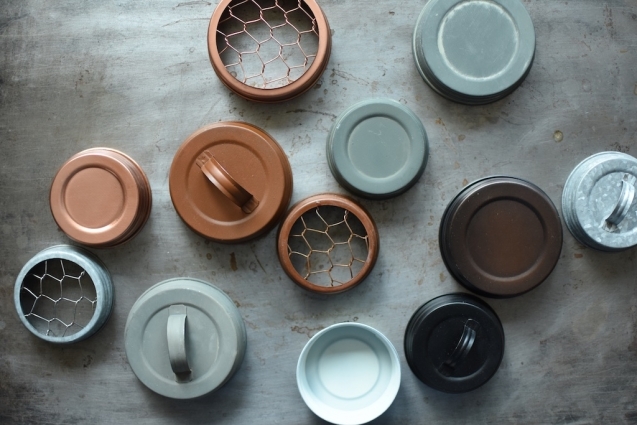 I would swap out some of my basic plastic lids for these prettier ones for countertop storage! Dry storage or to display flowers. How would I use these lids……let me count the ways! I love them all and can picture them just about everywhere in my home…..filled with flowers, seed packet waiting to be planted, the little packs of dish washer soap, treasures found on walks.with my grand children, on and on and on! Love the ones with the handles –perfect for storing craft items. I would also like the flower frog for floral arrangements. I just moved into an apartment! My theme is french country so they would be perfect.They would help with organizing and I have a cute mantel to display floral arrangements. These lids are cute, and it would be great to use lids that don’t have a pickle or chutney smell!!! Like you, mason jars are my default. I might make a full pot of instant pot oatmeal for the week (2 daughters, me and the carpool kid that has learned to love them), I could (and do) use them for homemade yoghurt, leftovers, the ginger left over from the ginger brandy I made last winter. All those things create smells that I don’t want outside the kitchen. And those lids with the wire? flowers and herbs, here I come! As a gardener with a lot of flowers, I’m always on the lookout for vessels that make good vases. Some of my favorite are vinegar cruets ( I tie the lid on to the handle with a ribbon), cream pitchers, tea pots, and mason jars. I have never purchased a frog lid, but that would be so much better/easier than tape. I would use this lids for the gifts that I give to friends and family. These look so cute and would look much nicer than the peanut butter jar lids I end up using after I opening one of my canning products. 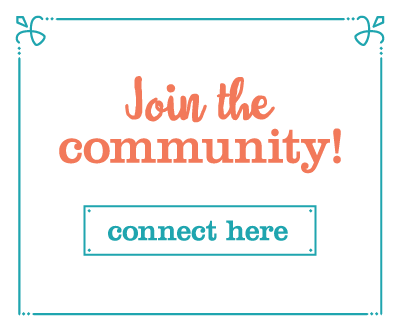 I would love them for storage of non-food items…thinking of creating a half gallon jar of sock yarn leftovers–I knit a lot of socks! Hydrangea season is almost upon us and I could use the flower frog to make nice arrangements to give to friends! I use Mason jars daily for storage. I LOVE the frog tops!!! I’d use those a lot. I never thought about the smell of lids for certain things! These are so cute. I’d love some of those chicken wire ones for flowers. We use mason jars for everything. In fact, I often have to hunt them down, because my kids love to use them too. Ooh fun, I would use these for flowers! I have collected all sizes of mason jars and I’m always looking for new ways to use them. I am not sure yet, but they’re super cute, so I am sure I could find some great uses! Super cute, I would use them for storage! I really enjoy arranging flowers and would love to try the “frog” lids. Those would be perfect for loose, drapey arrangements. I need to get my hands on these. Please let me win these. Please! Lemme in pleeeez- they are beautiful! Cute storage for my buttons, flowers, gifts! I love these lids! 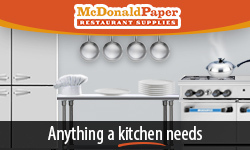 It would be awesome to have them on the counter for coffee etc. Easier to open too. They look so fun. I think I could use a couple in my pantry to help dress it up. The ones that hold flowers would also be fun to try. Thanks for having these giveaways. These look great. I’d love the flower frog! Checking out their website now. . .
I’d use them for the food storage jars that are kind of on display. Space is limited and if I have to look at something these lids would make it a lot more fun to see! I like the idea of using jars for flower vases, so I’d love to have the flower frogs. thanks for the giveaway! I’d use them for so many things!! Flowers, storage, gifts…. you name it!! Thank you. I think they would look nice in the bathroom. I would use these for my pantry and coffee bar area! Thanks for the chance! These are simply stunning and the thought of them tucked away in the bathroom of my 1918 era home makes me giddy;). Hope to be considered for the give away, thank you! I would use these all over my house! To arrange flowers, snacks for my work desk, q-tips in the bathroom, etc. I would love to have the flower frog so we can display all our beautiful summer blooms easier. I have family heirloom peonies (I’m at least the 4th generation who has had them) and they do best with some support! What great lids!!! I use my jars for everything from storage to planting a spider plant that lives on the window sill! They keep the bugs & mice out of things – we live in an old house & it’s impossible to keep ALL the wildlife out. I think I’d use the floral lids with some brightly colored cloth to house non-perishables! What a great idea. Love the frogs! I have some antique zinc lids. I’d probably use the flower frogs the most. I would definitely use them on the jars, but also I would like to make a windchime out of them. I think that would look so neat. I would love a pretty lid to contain all of the loose change in my house! And the flower frogs…perfect! Those are pretty great. I’d use them all over the place. My husband thinks I’m crazy but I use Mason jars all over the house. 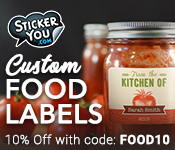 In the kitchen, I use them for beans, rice, grains, and dried foods that I don’t want pests in! I use a jar in the bathroom for guest toothbrushes and small tubes of toothpaste and another for cotton balls. I use them in my sewing room for buttons, small spools of thread, lace, and misc. items. New lids on everything would be nice! I’d probably use these for buttons and office supplies. I love the old-fashioned looking tin lids! These are awesome! I’d use them on the jars of dry goods on open shelving. And the floral ones are really cool, I’d use those for fresh herb medleys. I use Ball jars for everything so the lids would go on top of – nuts, grains, dried fruit, leftovers, buttons, ferments …….. These are fantastic. I’d use them for storing craft supplies in my art room. They’d look great in there. These would be great toppers for Mason jars storing various craft supplies. Decorative lids for my jars (and jars) of herbs! If it fits in the jar, than I use them. Sewing and craft supplies, in the bathroom you name it. My favorite is creating my own air room freshener. I have more jars than I care to admit… Now I’m putting pictures in them. Wide mouth pint and quart. Flower arranging, and storing any non-food items. Like you, I don’t like the odor that remains on a lid, even after several washings and soakings. I would use them for the kitchen to store all of my nuts & seeds or for homeschooling supplies. I would place them on the window pane and add seashells. Would love to win this set. So many ideas! I love my Mason jars, and also use them all over my house, besides the kitchen. I have a passion for vintage jars, and these lids would be perfect for them. Thank you for this post, I didn’t know about these lids……can’t wait to browse this collection! Thanks for the email it was good to hear from you again! I would use the lids in pantry and other storage. Beautiful! I use Ball Jars on my countertop for my vitamins. I love the big ones to store sugar, flour & anything that could get bugs. I need these cute tops! these are so cute and i would love to have some.